Looking for a quick, affordable way to shake off fatigue, boost your immune system, and promote weight loss? Accomplish all this and more with 7Q Spa Medical Center’s regular vitamin injections and IVs, the safe and effective way to increase vitality and feel better instantly! 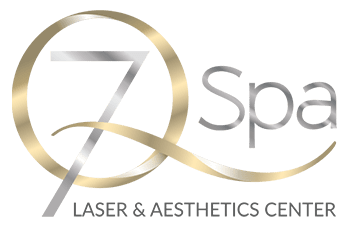 Simply describe your symptoms to one of our experienced physicians and let 7Q Spa create a unique “cocktail” of vitamins specially-formulated to your individual physiology and specific ailment(s). Feel better than you thought possible with fast and easy vitamin injections and IVs at 7Q Spa Medical Center. Acquiring the essential nutrients contained in vitamin pills through digestive absorption is inefficient, especially as aging and certain health conditions make it more difficult for the body to break down foods and glean pills’ beneficial material. Because vitamin injections bypass the digestive process, the body receives a full and immediate dose of whatever vitamin or vitamins you are deficient in. A great option for those who dislike or have trouble swallowing pills, too, vitamin injections take less than a minute each or can be administered through an IV in 7Q Spa’s soothing, luxurious environment. Perfect for addressing a variety of health issues and fortifying the body against future ailments, the Myer’s Wellness Cocktail is formulated to boost immune system performance, decrease fatigue, detoxify, increase energy levels, calm muscle spasms, and mitigate the symptoms associated with anxiety, migraines, and depression. Great for the heart, as well! Great for calming one’s nerves and nervous system, the Tranquility IV includes high-quality minerals and amino acids that leave clients feeling cool, refreshed, and re-energized. Like the Glutathione Push IV, this treatment also includes glutathione for system detoxification, strengthening, and recovery purposes. Packed with anti-inflammatory vitamins and minerals designed to relax one’s muscles, the Acute Muscle Spasm + Pain IV is ideal for clients suffering from recent accidents, pulled muscles, back problems, or anything else that might be causing pain. Athletes and manual labor professionals are especially fond of this IV treatment option. Using EDTA (ethylene diamine tetra-acetic acid), a synthetic amino acid, Chelation Therapy IVs bind to mercury and other heavy metals in the blood so they may be excreted from the body through urination. Chelation Therapy is also used to treat cardiovascular disease. Ideal for detoxifying the body and neutralizing potentially dangerous free radicals, the Glutathione Push IV is known in health and wellness circles as a “master antioxidant.” By increasing one’s glutathione levels, 7Q clients may experience a decrease in muscle damage, a reduction in recovery time after exercising, and an increase in strength and endurance. The Immune IV includes everything the body needs to fight infections (viral, fungal, and bacterial) and minor illnesses like colds, influenza, and sinus-related problems. Used as a preventative measure and as a cure, the Immune IV contains high dose of vitamins (including Vitamin C), minerals, and Glycyrrhizic Acid (which acts as an antiviral). Aside from boosting the immune system, High-Dose Vitamin C IVs are often used in addition to other types of IVs or treatments. Clients currently undergoing chemotherapy or radiation therapy for cancer often look to High-Dose Vitamin C IVs to strengthen weakened immune functions. Ideal for enhancing performance (specifically before a physically-taxing event like a race) or for resupplying the body with fluids after an intense period of exercise or illness, Hydration Therapy IVs supply the body with 500ml of hydration solution for an immediate boost in energy levels and mood.